TV Swivel/Pullout (at upcharge) - Unit must be mounted to the wall for use with TV Swivel/Pullout. 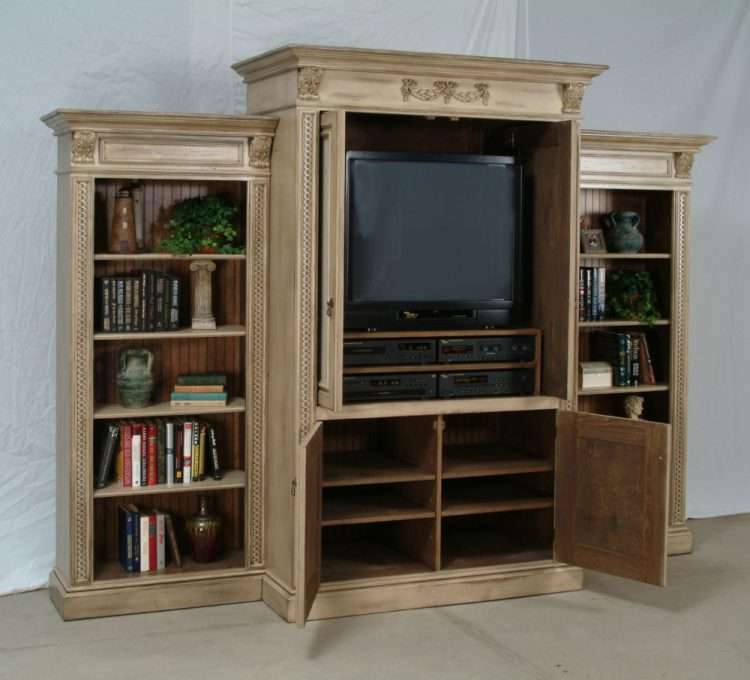 Intended for use as an entertainment center, this unit comes standard with upper pocketdoors, a removable double VCR bridge, 4 adjustable shelves for lower center section, and it is drilled for TV/component wires in upper and lower center sections. It also has 8 adjustable shelves with plate grooves for the left and right units. 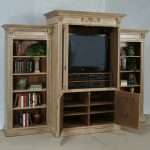 TV sits 43-1/4 H from floor with removable VCR bridge, 32-1/2 H from floor without removable VCR bridge. Center back removable cutout is 34-1/2 W x 39 H.
Available as CE86C-Center Section Only. 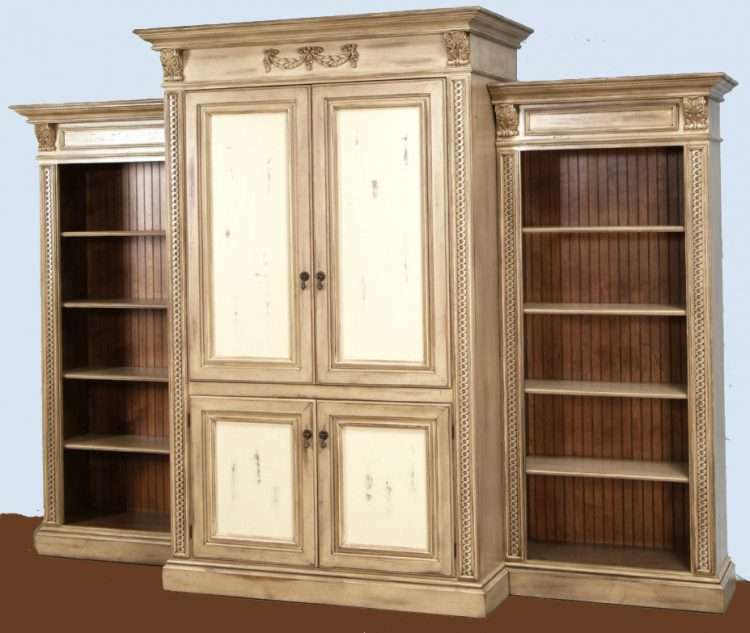 Ships in 6 corrugated cartons: Center (231 lbs), left unit (74 lbs), right unit (74 lbs), VCR bridge (32 lbs), large adjustable shelves (32 lbs)and small adjustable shelves (40 lbs), on 2 wooden pallets (100 lbs).